Keyboardist/composer Riza Arshad and guitarist Tohpati formed simakDialog in 1993. Living in the Indonesian capital of Jakarta, the band couldn’t avoid being influenced by the proud musical heritage of one of the culturally richest and most artistically-diversified countries in the world. Augmenting a “default” musical platform constructed upon the complexities of their native cultural music strains, simakDialog has forged a unique, synergistic sonic amalgam which builds on these historic traditions, while exploring a host of other enticing avenues and embracing some of the more eclectic facets of the progressive / world music continuum. The result is an exotic, alluring musical identity that is of supreme quality and is uniquely their own. Beledo’s latest project, ON A MISSION, with his band, The Avengers, won critical acclaim on tour in South America through Argentina, Brazil and Uruguay, gaining excellent reviews and strong CD sales in Japan, the U.K., France, Germany, Poland, Hungary, Australia and more. The Avengers are Beledo on guitar, Adam Holzman on keyboards, Lincoln Goines on bass, and Kim Plainfield on drums. The band toured Brazil, Argentina and Uruguay and played in Racife Porto Alegre, Montevideo Jazz Festival, Buenos Aires Jazz Festival, Cordoba Jazz Festival, Neuquén. They finished with an unforgettable concert at the Teatro Lavalleja in Minas, Uruguay, Beledo’s hometown. 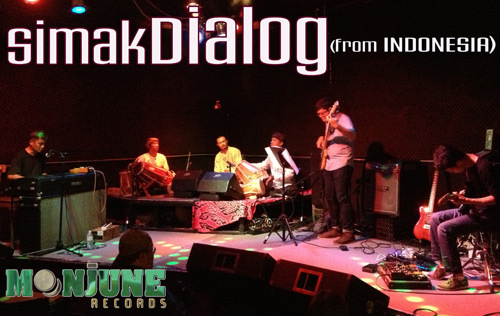 Additional outstanding Moonjune Records collaborations included work with the extraordinary Indonesian World Jazz Fusion band, Simak Dialog, with pianist Riza Arshad and guitarist Tohpati at Orion Studio, Baltimore, MD (09/07/13). 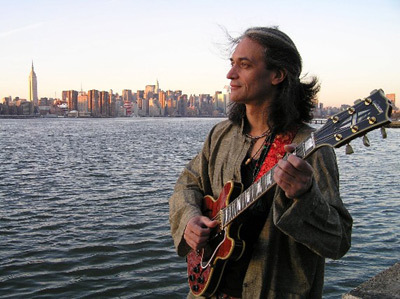 Beledo also performed in a duo with Indonesian superstar guitarist, Dewa Budjana in Princeton and Burlington in a Southern New Jersey mini-tour on Dewa’s last visit to the States, and recorded with Indonesia’s premiere pianist, composer/ arranger/ conductor/ producer, Dwiki Dharmawan.